Hello all, and welcome to what I consider to be the basis of Call of Duty Zombies. What I believe was the inspiration for the game mode we all know and admire. I am presenting to you a must-read post, that, although lengthy, will provide you with a deeper understanding of the zombies universe. Although much of the following information isn't necessarily newly found discoveries...yet it may be to some or even most...I think all of you will learn a lot from this post. While researching this topic, I was overwhelmed by how much it relates to zombies. I had never expected to find so much out of researching one simple quote from one of the playable characters in the game. Samuel J. Stuhlinger, the character some of us love and some of us hate, has many interesting quotes revolving around conspiracy theories, government cover-ups, and alien encounters. In a couple of his quotes, he makes reference to something called the "Hollow Earth". This interested me. So I decided to do a little research. And, as I said earlier, I was shocked by how much information I found that was related to zombies. The Hollow Earth theory is so clearly seen and used in the storyline, it will baffle you. Now i know I stated this in the preceding few sentences, but I just wanted to remind you that most of the following is not entirely new information. I've looked over this site and found a few other topics and posts that make mention of the Hollow Earth. And I've found a little of it elsewhere as well. So cheers to those people! However I wanted to go a little more in depth and explain the history of the Hollow Earth and how it directly relates to zombies. Okay so this is how this is going to work... I'm going to write a somewhat lengthy article here, and at the end I'm going to go back and review individual parts of what I wrote(the parts that relate to zombies). *Throughout the article, you will see numbers closed off in brackets like this  . This will be located immediately AFTER the term/sentence I deem worthy. So, what this means is that I considered the term/sentence before the number to be important to the zombies storyline. And when you see this number, scroll down to the bottom of the article, and there you will find a list of numbers. Find the corresponding number and it will explain what the numbered term/sentence means to the zombies story. Of course, you could just read the article without paying attention to the numbers, then go back and read the numbers at the end. This will be okay because you will still be able to understand the article without reading the numbers. Which ever way is best for you. I hope the process isn't too confusing. Here it is guys, I apologize for the length. But not to worry, I only included the interesting stuff. Enjoy. Now let me give you a run down on what the Hollow Earth idea was/is. It used to be a legitimate theory that basically said the Earth was hollow and there was a Subterranean civilization living beneath us all. A civilization that, according to the theory, inhabitants walked feet-up. In other words, the inhabitants there, would walk on the same ground we walk on, just on the other side of it. And oddly enough, these beings are often referred to as 'Denizens'. Which just means "inhabitants of a certain area". One idea of what exists inside the sun-like core, is that there is yet another habitable realm within it. This place, often regarded as a place of peace, tranquility, and infinite bliss, has been associated with many religions. Notably, Christianity. Centuries ago, the Christians believed Heaven to be located here. Whether it's Heaven or not, it has always been considered a place of paradise. Most commonly referred to as Shamballa, this place is considered by some to be the underworld's capital city. it has gone by many names including: Aryavartha, the Land of Wonders, the Land of Living Fire, The Land of White Waters, Shambalah, and even Shangri-La. There are a few sub-theories that go along with Hollow Earth. So let's take a look at some of the most significant ideas in a historical manner. Before 1692, dating back to ancient times, peoples of various parts of the world all had their own idea of what's inside the Earth. Not to any surprise, the interior was commonly associated with religion. The Greeks believed that Hades, a place all mortals go after death, may exist beneath the surface. Followers of Norse Mythology believed that Svartálfaheim, a place where craftsman dwarves reside, existed underground. The Jewish Sheol, a place where all souls go after death, has been said to be an "underworld". The Christians have often theorized that Hell, a place the non-Christians' souls eternally reside in after death, exists below ground. It wasn't until 1692 that science began to recognize these ideas as more than myths and people started forming rational theories. The first sub theory, proposed by Edmond Halley in 1692, said there were two layers under the ground we walk on, and then a central 'core'. (notice he doesn't say 'sun'.) Atmospheres separate these layers, and each layer has it's own poles, allowing them to rotate individually. Halley argued that this is to blame for faulty compass readings in our world. And later stated that the escaping gasses in lower layers caused our Aurora Borealis phenomena. As you can see, he had quite a bit of evidence to back his theory. In the early 19th century, John Cleves Symmes, Jr. proposed the idea that there are actually 4 layers beneath our ground. He theorized that our ground is about 1300 kilometers thick. And there are access points, also referred to as 'gateways', to the lower layers at our Earth's poles. He organized an expedition to go to the North Pole, but the newly elected US President Andrew Jackson refused to let it happen. Symmes did not publish anything, so his work was carried on by relatives and followers who shared his beliefs. Against the wishes of Pres. Jackson, a newspaper journalist by the name of Jeremiah N. Reynolds decided to carry out Symmes' work and went on a private expedition from New York City to Antarctica, only to be forced to return home, due to the dangerous terrain in that direction. One man, by the name of Richard Shaver, claimed he was the guest of an ancient race known as the Elder Race, or the Titans. He said the Titans had come to our world from another solar system back in Earth's prehistoric era. When they realized the Earth's sun was causing them to age prematurely, they boroughed underground. They dug diverse caverns that they would reside in for centuries to come. Eventually they decided to evacuate, and find another planet on which to live. Shaver layer said the Titans told him they left behind advance AI machines, or robots, presumably robots that would one day cause destruction of the world above ground. The Hollow Earth theories had even gained the interest of infamous dictator Adolph Hitler, who found particular use of these theories. He had wanted to create an army of super soldiers, much like the ones that existed in Tibetan beliefs. Such soldiers that would allow Germany to enslave the world. The Hollow Earth Research Society in Canada claims that, after the fall of the Third Reich, Hitler retreated to Antarctica and entered a hole in the surface. This hole is the same ‘entrance’ that many theorists believe leads to the underworld. Evidence that supports the HERS' theory is the unexplained disappearances of over 2,000 scientists and over a million people after the events of WWII. They were all from Germany and Italy. According to this theory, Hitler is still there, rising up in power and creating his super army with the aliens that many people theorize exist below the surface. That's right, aliens, another sub-theory of Hollow Earth enthusiasts which states there are aliens below us, soon to come to the surface and either greet us, or kill us. Some say that Hitler is now in charge of these aliens and will lead them the way he lead the Nazi party. Soon, according to this theory, Hitler will rise up and take control of the overworld. There are many explorers who claim to have been inside the polar openings and had seen what lies beneath. In the 40’s, An American Navy crew member named Richard E. Byrd who flew over the South Pole, accounted seeing lush landscapes of dense vegetation, animals (both like we have here, and giant versions of our animals), and he even encountered great civilizations residing down there. Later on, he was approached by “flying machines” that inform him of how he discovered the entrance and no one else had. They told him he was a man of high moral value of whom they could trust. They warned him that the world, including their own portion, would soon face ultimate annihilation. They said ever since the events of Hiroshima and Nagasaki, the underworld has feared for the existence of their home. Some theorize that these beings below us, the ones with the supposed flying machines, are the same beings that have reportedly been seen flying over our world. This contradicts the idea that aliens are not of this Earth. Instead it implies that aliens aren't very alien to us at all. Now let's talk about some of these entrances that exist away from the poles. From California to the mountains of Tibet and everywhere in between, there are allegedly dozens of holes (and "tunnels") that link the overworld to the underworld. There are reports of monks in the Himilayan Mountains of Tibet that guard the mountainside entrance. And some believe the tunnels beneath the Great Pyramid in Giza were constructed by the ancients, who were very aware of the underground civilizations. Another popular entrance in Washington state, US, supposedly located in the small town of Ellensburg, is believed to have magical powers. Originally this hole was used for dumping trash into illegally. But when people started to notice that this hole would never fill up even after all those years, suspicions rose. And when people would throw trash down the pit, there would be no noise indicating it hit the ground. Even when they disposed of large farming equipment, they would hear nothing. Mel Waters, the owner of the land where he claimed this hole was, reported strange phenomena regarding the hole. He said he witnessed a man who threw his recently deceased dog into the hole, only to find the dog alive and well hours later. This made Waters curious. He began performing small experiments with the hole. He yelled down the empty hole, expecting to hear an echoe, but heard nothing. And he rolled down a stretch of twine to discover that the hole extended down at least 15 miles. -He claimed that uniformed people came to him, threatened him, and finally decided to lease his property and relocate him to Australia. - he claimed that police arrested him in Tacoma, he blacked out, then he woke up later in San Fransisco with his teeth missing. -he discovered a 1943 dime that somehow disappeared right before his eyes. - a black beam of "anti light" shot out of his pit. -he says he found yet another bottomless out in Nevada. This hole, apparently, had a sheep lowered into it, only to have it pulled back up with an alien creature inside of it. This creature communicated through a radio boom box, warning of the destruction of mankind through nuclear wars. That last one sounds familiar doesn't it? Remember the American navy member who was accepted into the underworld, then greeted by aliens? Those aliens warned of the same fate this alien warned of. Yet the sheep incident occurred over 50 years after the apparent polar entrance event. Finally, Waters mentioned hearing voices that he believed to be coming from the hole. Yet he said no one else could hear them. So he concluded that the voices were only in his head. Yet he still insisted that the voices were talking to him. Just only to him. The credibility of Mel Waters is questionable, seeing how he had no proof of his discoveries. And he would never reveal the exact locations of these apparent "bottomless pits". Not to mention how he would know if his twine touched the pit's floor or not. Or where he would acquire 15 miles of twine in the first place. Moving on, in theory, the Earth is not the only place with a Hollow 'Earth'. Theorists believe that the moon also has an empty interior, inhabiting beings just like the Earth inhabits. A Hollow Moon so to speak. Another belief is the moon houses yet another pyramid similar to Giza's, that acts as another entrance to an underworld. Some theorists go as far as saying that all bodies of the universe are hollow. Including planets, moons, and stars. Some even believe that all these entrances have magical portals that connect and lead to one underworld, as opposed to many separate underworlds in each body of space. Later on, with the introduction of new technology and scientific breakthroughs, this whole theory of Hollow Earth was disproven. Or so we've been told. Today, the notion is a conspiracy theory, attracting the attention of conspiracy theorists, poets, artists, directors and perhaps even video game developers. 1. Pretty generic definition right? But it's odd that this theory is one of the only places you will hear the term Denizen being used. 2. The Agartha in zombies is very likely to be an actual underground place, as opposed to some mythical realm that Richtofen figured it to be. 3. Well this could only mean that the map Shangri-La exists in Agartha's capital city, which is believed to be in the core of the Earth. According to some theories, the core is the central sun of the underworld. Other theories suggest that the core is actually a sun. If you remember from the Easter egg on Shangri-La, the two men who became trapped in the time loop experienced faults with their navigational equipment. This map existing at the center of the Earth would explain the malfunctions. 4. This explains why we here so much about the ancients while playing Origins. The ancients clearly know more than the modern man does. 5. Another rather obvious reference to zombies here. The gateways to the underworld(Agartha) were often thought to be in the form of tunnels. These tunnels were believed to be created by the ancients. Just like the ones we see in Origins. 6. Sure sounds like a government cover-up to me. Samuel knows his stuff. 7. This reminded me of Buried. Although I'm not too sure how it would tie in. If anyone has any ideas, that'd be great. 8. Sounds a lot like the giant robots on Origins. 9. That's a pretty interesting way to think about the zombies universe. Not sure if it applies to it or not. Just a thought to consider. 10. Yes, yes I did just quote Takeo. Anyways, this talk of the super soldiers Hitler wanted reminds me of the super soldiers that Group 935 had envisioned. The only difference, of course, was the ones Hitler wanted were a little more...alive...or were they? 11. About these holes I've been talking about, I believe that the Rift in Buried is one of them. Obviously not the one in the South Pole, but definitely one of them. While playing Buried, all the characters seem to have their bit to say about the Rift. Including Maxis, who says something about having control over the Rift and then the power of the æther, giving him access to Agartha. So it is clear that the Rift is one of the gateways to Agartha. Which I'm pretty sure this has already been established. 12. Samuel has made many quotes about aliens. He seems to know so much. Exactly how long has he been hearing voices? 13. Speaking of these 'aliens'. Has anyone looked at the circles in the corn fields in Tranzit? Well they could possibly be crop circles, created by these aliens. 14. Once again, more about the Rift perhaps? Yes, I would say so. However I'd like to take particular interest to the Great Pyramid bit. Pyramids are commonly talked about in zombies. The pyramid shaped M.P.D. on Moon. The pyramid where the Pack a Punch machine is on Shangri-La. And also take a look at the loading screen in Shangri-La. There are three or four crumbling pyramids lined up beside each other. 16. Take a look at the Black Ops 2 world map for zombies. Now look at the location of Green Run(Tranzit). It clearly takes place in the exact location that Ellensburg, WA is located. 17. It's a hellhound! Or maybe not. However, this dog was dead, and now it's alive. It was raised from the dead like a zombie. 18. Hm. 1943. Lots of significant events in both nazi zombies and in real world history during that year. Perhaps the coin traveled through time and presented itself to him. Then, due to the butterfly effect, slowly vanished before his eyes. Some things to think about here. 19. There are those beams of light in Tranzit, though they aren't black. But maybe they're supposed to be. This would support my theory that Tower of Babble is not the Easter egg in Tranzit, but merely the wrong path. But let's not get off track here. 20. Nuketown zombies. There is that giant hole there. Which, I hate to break it to you, is not caused by one of the rockets from Moon. This can be concluded from playing Moon. We saw that none of the rockets hit the same place. All went to different parts of the world. At the end of Nuketown Zombies, we see what is most likely the rocket that is from Moon. And if that's the rocket from Moon, then one could conclude that the other crater had nothing to do with the events of Moon. I just wanted to make that clear. However the bottom of that crater is visible, so it would unlikely be a gateway. 21. Richtofen heard voices when near the M.P.D. The M.P.D is a location of an Agarthan entrance, just like Mel's Hole. 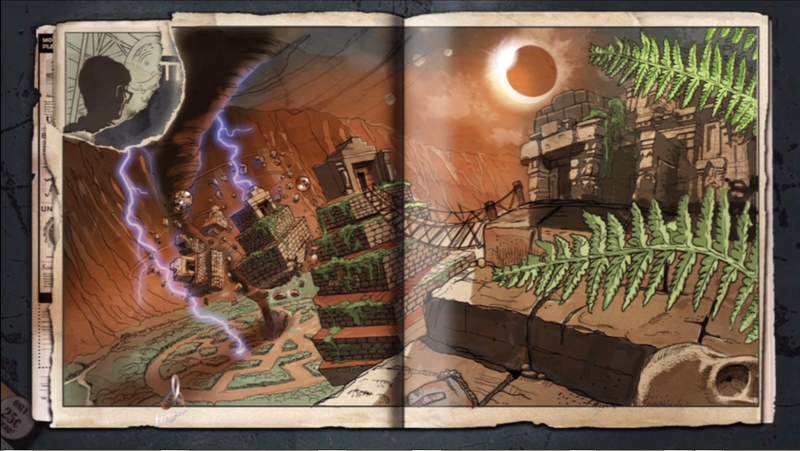 So it would make sense that both Richtofen and Mel would hear voices, considering their close proximity of the gateways. Did Mel hear Richtofen's voice just as Samuel does? 22. The M.P.D on Moon is a pyramid of sorts. And that has been accepted as a gateway. 23. Think about those tunnels leading down to get to the Crazy Place on Origins. Four tunnels, all in different areas, all somehow connecting to the same place. A place that houses a gateway to Agartha. This is the only part of my article that suggests something that science, theoretically, cannot explain. Portals that lead to another realm. And all you have to do is jump inside, and it takes you there. "I wonder if I should trust this super-gun technology. Everyone knows it came from the Hollow Earth." I hope you all enjoyed this rather long and educational post. I would like to give credit to the following members for their contribution to this post. Although they did not help construct my article, they did inspire it in some ways. And they also had already made some relations between The Hollow Earth Theory and Zombies known in their own posts here on CoDZ...so thank you to the following, and everybody else who made similar posts! Thank you all for reading, and enjoy the goosebumps! Happy Slaying! Nice thread here @thegoldenspork115 - although I definitely think you should spruce it up with some photos, and perhaps different text formatting. Also, what's with the reference numbers? I was looking for according numbers and couldn't find them? Lastly - here is a video you might find interesting. It's detailing Hitler/The Nazi's belief and possible connections with inner earth dwelling beings. Agartha Is A Weird And at the same time cool place wear samantha is and i wonder if the 1st map in bo3 will be agartha if so then cool i hear the 2nd to 1st bo3 map will be origins again the reason is the fbi agents from survival might need to search for nikolai richtofen dempsey and takeo. Thanks. But huh. That's weird. I posted this in general zombies discussion about a month ago and the link worked just fine. And also the reference numbers showed up. Idk why but they're not on this one. I'm gonna see what I can do about it. Here's a link to the general zombies discussion thread version which should be right... Until I fix this one that it is. Can't believe this only has 1 brain. here, have another. Your topic was a good one! But I like your thinking. The denizens do come out of little holes the ground. Wow, you really impressed me with this theory.